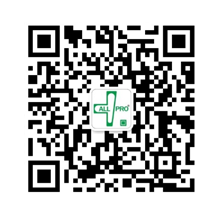 For the last ten years, All Pro Corporation has been a leading Chinese provider of medical and health products worldwide. Our leadership has been earned year upon year through invention, integrity and reliability. All Pro Corporation's growth also is supported by our professional team work, high standard quality control system and stable distribution network.